Queenstown’s 40th Jazz Festival this coming Labour Weekend is adding a new string to its bow – introducing jam sessions for thinkers. 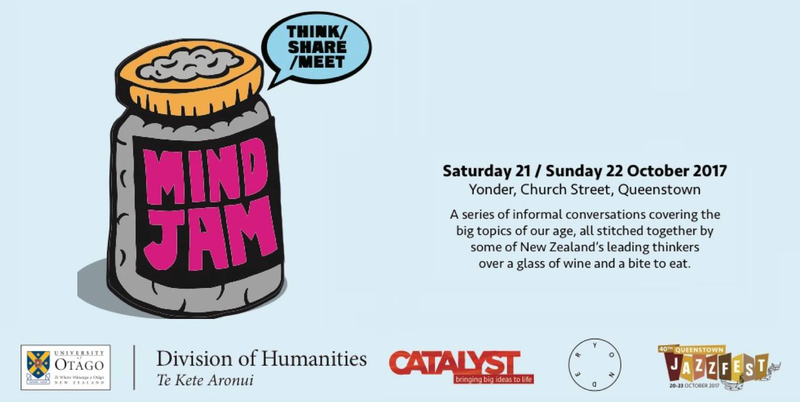 A new collaboration between Queenstown’s Catalyst Trust and the Humanities Division of the University of Otago, MindJam weaves an upbeat series of open dialogues on society and civilisation into the JazzFest programme. 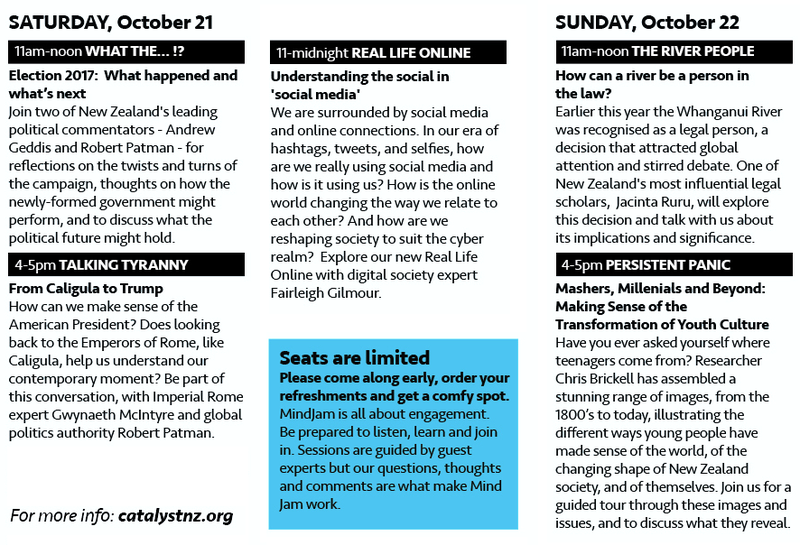 MindJam will play to the same tone that JazzFest has always set for Labour Weekend in Queenstown – creative, collaborative, and contemporary – inviting everyone to join the conversation, and share their opinions, thoughts, and inspiration. ​University of Otago’s Pro-Vice-Chancellor Humanities, Professor Tony Ballantyne says the creative and inspirational nature of Queenstown is the perfect setting for MindJam’s free flowing exchange of ideas and arguments. “In this place of lakes, rivers, and mountains, I’m particularly looking forward to hearing what Queenstown people think about the recent recognition of the Whanganui River as a legal person, and what that might mean both here and elsewhere” he said. Participating in the sessions is free, but space will be limited, so best show up early.